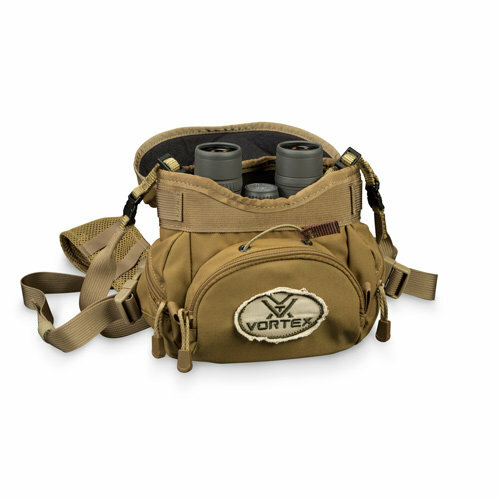 Protect your binoculars from the elements, keep the lenses clean, and stow essential gear close at hand with the Guide BinoPack. Integrated bino leash prevents drops and lets you lower your bino with confidence. 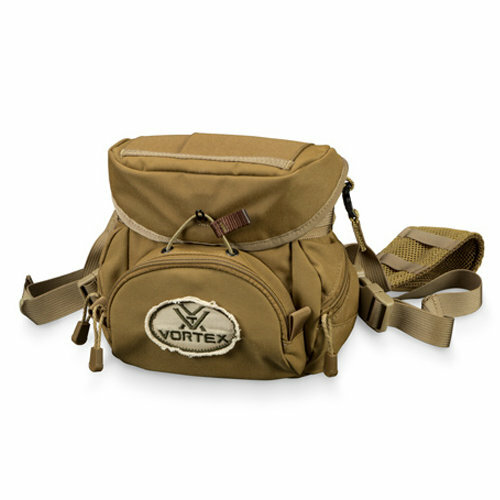 The full coverage lid secures with a fine diameter bungee and rigid nylon tab. 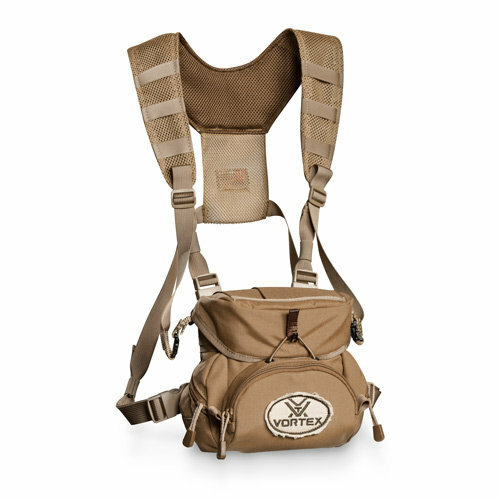 A generous front zippered pouch with shell loops is perfect for larger items such as rangefinders, a knife, fire starters, etc. The side pockets, zippered pocket on the rear face, and elastic sleeves on the top hold additional items. This pack weighs 14.6 oz and measures 8.5 x 7.5 x 4 inches. Our Unlimited, Unconditional Promise to You! It doesn't get any better than this.